BioWare has revealed their next video game title at the E3 2017. The secret project, which in the months before as "Project Dylan" buzzed through the media is titled Anthem. There were some rumors in advance that this game would become a semi-MMO similar to Destiny. Meanwhile, some information on the BioWare’s new game came to light, which underline this assumption. For nearly five years BioWare has been working on Edmonton Anthem. According to the official EA site, it will be a shared world action RPG - that is actually a semi-MMO that hits in the same notch as Destiny or The Division. With friends, you can explore a strange world, dangers, and enhance your character with Loot. The developer creates a completely new world from the very beginning. In Anthem, civilization is protected by a huge wall. Within the wall lies Fort Tarsus, where mankind survives. Beyond the wall is a primitive world with giant monsters and nasty raiders. In the world of Anthem you are a freelancer. You are a brave hero who leaves the security fence to explore a landscape of prehistoric beauty and to face the dangers that lurk there. In Anthem there are powers that want to conquer mankind. Anthem is supposed to be a game that is updated with expansion / DLCs over months and years. It is played in the third person perspective. - You can team up with your friends: up to four players are possible. - Javelin Exosuits: The freelancers use combat suits called Javelins, which are equipped with weapons and special abilities. On your journey, you can find and produce equipment to customize the Javelin Exosuits. The Javelins help you move through the world of Anthem. You can fly, jump, climb and even dive. - There are several classes of javelins: so far, the ranger (balanced class) and the colossus (a tank) are known. - Open-World: In Anthem, there is a huge open-world to explore. It is in a primeval design, in stark contrast to the high-tech javelins. It was a dynamic, connected world, which would always change in the coming years. According to a statement from EA Vice President Patrick Soderlund, the Open-World will set new standards with its detail. 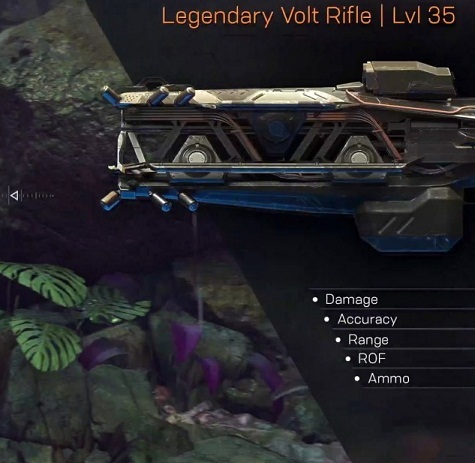 - There are Loot and EXP: There is already a weapon to be seen - a legendary Volt Rifle on level 35. The stats are damage, accuracy, range, ROF and ammo. There should be "a lot of weapons" in the game. - Extreme, changing world events: Shaper Storms are an example. With every step into the unknown, you become stronger. There should be a "great BioWare story" - but your choices should change your character as well as the world around you, so everyone can experience their own story. Anthem was presented as a co-op game: Team up with your friends, you can explore the world together. So you have the same target group as Destiny or The Division apart. You can also play Anthem completely alone. It is suitable for solo players. Single- and multiplayer are seamless. 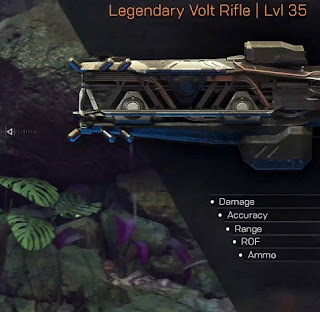 It is not yet known whether Anthem will have PvP. The developers have so far been questioning about this. Release Date - When is Anthem Come Out? Anthem is set to released in fall 2018. On Which Platforms Will Anthem Be Available? Anthem will be released on PS4, Xbox One and PC. Since it was presented at the E3 press conference of Microsoft, many players worried that Anthem could be exclusively for the Xbox. Meanwhile, EA made clear that it will also appear on PC and PS4.